Be inspired by Frank’s deeply personal story of setbacks, challenges, adventure, success and triumph. Frank takes you on an amazing journey through his life experiences as a barman, dead broke, unemployed, and homeless young man, fruit & vegetable vendor, entrepreneur and most importantly, the lessons learned. Motivate your audiences to get out of the shadows, overcome obstacles, go from invisible to invincible and flourish with Frank’s 6 SMARRT lessons from overcoming obstacles. The proven, actionable, real-life and practical SMARRT steps show how Frank “beat the odds” and “escaped” homelessness in his transformation from invisible homeless young man to personal finance and employee financial wellness expert, entrepreneur and active citizen. The 6 SMARRT steps can be brought into the context of any organization and harnessed by anyone with determination, drive and desire to excel. Change is the only thing that stays the same. It often comes in in small, continuous adjustments to our reality. But sometimes it comes all at once, with unspeakable force. It is our response to that change that dictates our success. Our world is changing at the fastest rate in human history. Maintaining the status quo is fraught with danger. Hence, change has become a critical skill and survival tool. Are people who achieve results in the midst of change lucky, blessed, and immune to setbacks? No. These people also experience times of doubt, challenge, and great emotional turbulence. But it is their mindset and attitude that carries them through to greater heights in the face of change.Thriving through change means embracing the “hope for success” not the “fear of failure” attitude. Frank’s talk shows how people can succeed against all odds and triumph in the face of change. Through the 6 SMARRT steps, people will walk away with easily applied tools and skills to be bold in the face of change. Are you passionate about how you are living today and where you are going in the future? Or do you sometimes feel that you are merely a passenger in a bus to nowhere that you hopped on early in your working life and allowed to determine the direction of your life. Unfortunately, on the trip on this bus, there are no billboards or flashing neon signs that light the way towards finding purpose. With very few people instinctively knowing where they want to go with their lives and many people in search of purpose, Frank’s talk puts people in the driver’s seat of their life, making them confident about being there, knowing where they want to go and more importantly WHY. Through the 6 SMARRT steps, Frank shows that the “why” of life is the force that inspires people and the foundation for finding their purpose. People are wired to seek meaning in life and have a sense of purpose – knowing their lives matter and they can make a difference in the larger scheme of things. The average person makes six to ten money decisions per day ranging from small decisions like buying a cup of coffee or packing lunch for work to saving for retirement or a child’s education. So many financial decisions require a balance of financial literacy, self-control and making the best possible decision given limited information. Most of these decisions are unguided. No wonder money continues to keep people up at night. Since personal finance is hardly taught in schools, most people learn to manage money through trial and error or from their parents who also learnt to manage money through trial and error. No wonder, low financial literacy is accompanied by high levels of debt, irrespective of income and background and general financial stress. Financial stress can impact marriages and sleep, and it can also negatively impact mental and physical health. Research shows that financial stress contributes to health and heart problems which can be dangerous. People need more financial guidance but they are not getting it. Without intervention, people can remain stuck in bad financial habits, or even make problems worse, unable to tackle thorny financial issues like high debt. Get hope in your financial life and get started on the journey to long-term financial security using Frank’s 6 SMARRT steps. In this practical talk, Frank will discuss the money mindset, money stories, money mindfulness, the power of choices and the money behaviours that sabotage long-term financial security.  Frank has delivered keynote speeches to audiences including Allan Gray Orbis Foundation, Bradlows, Harvard Business School, Henley Business School, Heron Bridge College, Milpark Business School, Momentum, South African Reserve Bank, Standard Bank Group, Barclays Africa Group, Rand Merchant Bank, The Insurance Institute of South Africa 2016 conference, Insure Group Managers, TEDx Cape Town, TEDx Stellenbosch, Unilever, Scotfin Insurance Brokers, Ricoh, United Nations World Food Programme and 5th Annual Harvard Crossroads Conference (Dubai). In November 2016, Frank was #FridayStandIn for the Redi Thlabi Show on 702 and Cape Talk and in January 2017 he was #MoneyShowStandIn for Bruce Whitfield.